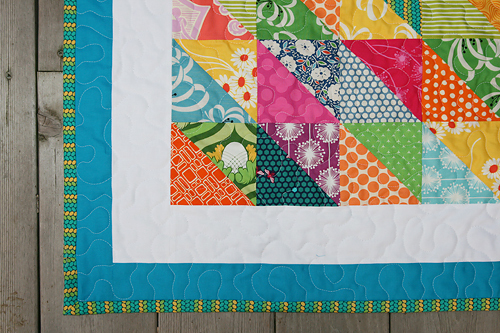 A few months ago I bought my first (and only) quilting die for my Big Shot Sizzix die cutter. Sizzix is getting into the quilting die game now which is quite handy since I already had the cutting machine. The half square triangle seemed a good place to start because exact size really matters. It made quick work of the cutting pieces for this mini quilt. 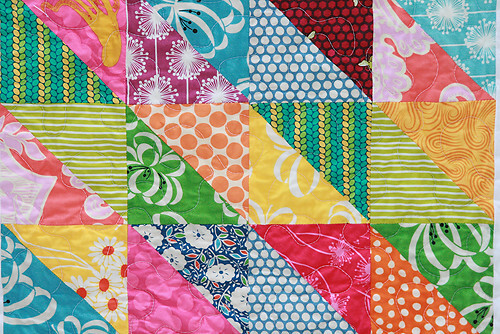 I am always inspired by the colorful quilts made by Rita of Red Pepper Quilts so I just picked some random bright colors from my fabric stash. 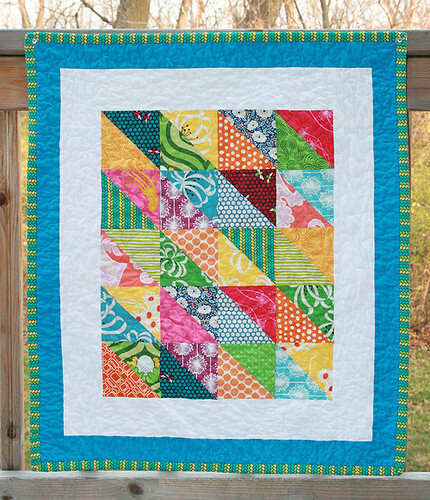 Initially I just had a white border, but when I was auditioning fabrics for the back, I realized the additional turquoise border would really frame out the quilt nicely. To offset the brights on the front, I chose Kona Ash and White for the back. The binding is a wonderful Tula Nest print. 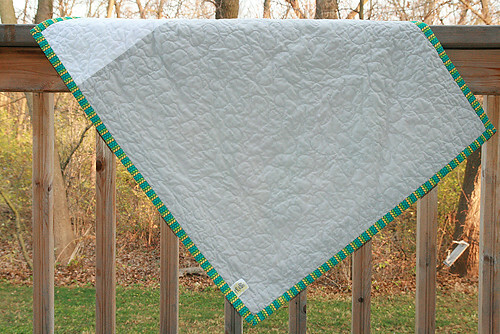 ETA: I forgot to mention I now have a Facebook page for Fresh Lemons Quilts. Come on over and join if you are a Facebook user. It will keep you updated on new blog entries, shop sales, and just all around fun things I find to share!